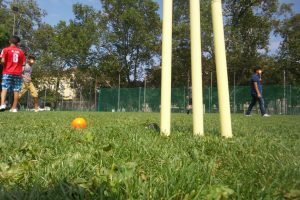 Wir haben Cricket am Samstag (06.08.2016) von 14 Uhr bis 19 Uhr im Haydnpark (1120 Wien) wieder gespielt. 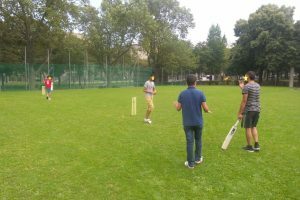 Alle waren eingeladen :) Zehn Cricket SpielerInnen haben an dem Cricket teilgenommen. Wir haben alle viel Spaß gehabt. 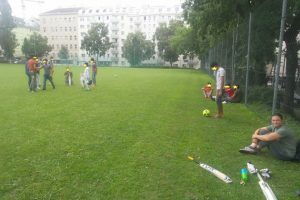 Das Cricket Projekt geht es weiter. 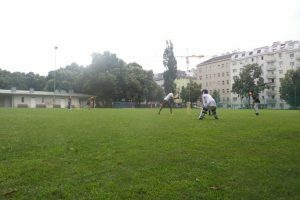 We have played Cricket on Saturday last weekend (6th of August 2016) in Haydn Park (12th district,Vienna) from 2pm till 7pm. Ten Cricket players between 5 and 18 years old have joined us this time. We have had all loads of fun and will continue with our cricket project.